Investors with the financial wherewithal or syndication skills are also thriving thanks to hot demand for multifamily developments, like condominiums, that are more affordable than freestanding, single-family homes but still enable owners to own and build equity. Nashville, Tennessee, is, quite simply, sitting in the catbird seat when it comes to real estate. The “Music City,” so named in 1950 by radio broadcaster David Cobb thanks to its longstanding position as the home of country music, is hitting all the right notes these days. Positioned in the highly affordable southeastern United States, the U.S. Census Bureau recently reported that Nashville adds about 100 residents to its population each day. This influx of population is supported by a rapidly expanding economy that relies not just on music and tourism, but also has expanded to incorporate nearly a dozen Fortune 500 company offices, a thriving healthcare sector, a solid base of institutions for higher education, the automotive industry, technology, and publishing. Nashville is truly rife with opportunity, and that means it is specifically suited for real estate investing success. However, just owning real estate is not enough. Thanks to the rapid, massive expansion of the local economy, there are a few issues for local investors to consider before they buy. The population explosion is both a blessing and a curse, since it has rendered one of the most affordable and attractive metro areas in the United States suddenly significantly less affordable. At this point in time, analysts estimate that Nashville could use about 10,000 more doors in its housing inventory, either multi- or single-family, rentals or owner-occupied residences, than are currently available. That is a tough order to fill because in Nashville, as in any city, there are multiple steps involved in managing the permits, labor, and planning necessary for development on this scale. The gap between what Nashville needs in terms of housing and what it currently offers leaves a great place for real estate investors to get involved in the market. However, it is important to understand the needs of the incoming population and the dynamics between long-time Nashville residents and policies and the city’s relatively new, booming economy and associated incoming population. As demand for housing increases, a number of public and private organizations are also getting involved in the equation, offering assistance, tax incentives, grants, and special loans to incentivize development. A keen awareness of your investment options in the area will take you far. Why Nashville, and Why Now? Although most Nashville residents do not find the city’s presence at the top of nearly every 2018 “hot list” for real estate markets particularly surprising, non-natives often feel as if the city simply “arrived” out of nowhere in late 2016 when Census numbers indicated that it had eclipsed Memphis as the most populous city in the state. At that time, Nashville also became the nation’s 24th-largest city, and nearby Murfreesboro was ranked one of the fastest-growing cities in the U.S. with 4.7 percent population growth. What is bringing these new residents to Nashville and the surrounding area? The city certainly has a lot to offer, especially to businesses and individuals who are accustomed to living in areas of the country where the cost of living is far greater than it is in Nashville and in the Southeast in general. Just for comparison, Nashville’s cost of living index was, as of December 2017, just over 72 on a scale wherein New York, New York, is ranked 100 as the costliest place to live in the country, and the numbers fall from there. Athens, Georgia, ranked lowest on the list with a reading of 59.35. The state also ranks well when it comes to quality of life, routinely garnering a place in the top 20 for “best cities” in which to live, work, and play for residents of all ages. At this point, you’re probably wondering why in the world we were so measured in our enthusiasm at the beginning of this article. Well, the answer is simple: To invest in Nashville real estate, you’re going to need some creativity and some vision. Sure, if you already own property in the area then you are certainly in a nice position. 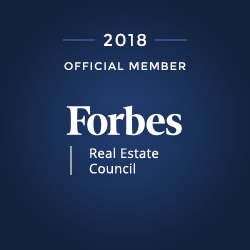 Average appreciation in 2017 reached values 40 percent higher than the city’s previous peak prior to the housing crash, and Ten-X (formerly Auction.com) recently ranked the city top in the nation for single-family real estate. However, there are also some warning signals: Not only is the cost of living in Nashville rising exponentially, but there just is not enough housing available. Furthermore, it can be hard to break into this market because there is only so much land available and a lot of it is “taken.” There are already homes on the lots or far-sighted developers bought up the land before the boom and are not looking to sell today. However, with a little creativity, a real estate investor in Nashville can certainly flourish. For example, some investors are purchasing off-market, distressed homes (they are still here just as they may be found everywhere if you know where to look) and tearing the entire house down. Then, they rebuild, placing two tall, skinny homes on the property. There are now two lots and two homes, called “tall-skinnies.” Although there may only be about six feet between the two homes, these properties are extremely attractive because they are also quite affordable both to build and to buy (see sidebar on p. 36). In some of Nashville’s up-and-coming neighborhoods, you might see 40 or 50 tall-skinnies where there used to be 20 outdated properties. Investors with the financial wherewithal or syndication skills are also thriving thanks to hot demand for multifamily developments, like condominiums, that are more affordable than freestanding, single-family homes but still enable owners to own and build equity. Young professional buyers may find that they can scrape together the money for a down payment in these developments and then, thanks to rising home values across the metro area, build up equity while saving to move into a tall-skinny or other single-family property in a few years. Of course, while the concept of homeownership is extremely popular in Nashville, as it is everywhere, owning single- or multifamily rentals can also be a good route to solid, reliable returns. As in many “hot” markets, Nashville’s rental rates are rising quickly. An investor willing to work creatively with their tenants to create a situation where that tenant may be able to purchase their rental home in the future (using creative financing strategies like lease-options and seller financing) will not only likely find themselves in possession of a portfolio tenanted with reliable, long-term tenants, but also be well-positioned to sell that tenant a modern home that has commanded top rents. Many investors hoping to attract longterm tenants in the area are either upgrading older properties with more luxurious amenities than might usually be visible in rental properties or are building-to-rent, meaning that they are producing new construction, whenever possible, with the sole purpose of renting the properties out rather than selling to an owner occupant. Is there enough space to build a multifamily property? Should you be rehabbing or tearing down and building new? Is the neighborhood right for renters or homeowners? Perhaps most importantly, ask yourself if the area is ripe for appreciation and improvement. Because of that massive, ongoing population influx we mentioned earlier, most of the metro area will add value quickly if the housing is attractive to new residents. When investors are successful at upgrading housing and providing sufficient housing, then bars, restaurants, retail, and other development will follow, and prices will rise. That is good for investors, residents, and the local economy. However, without the people living there, that will not happen, so it is up to real estate investors to identify places where they can create, expand, and improve housing opportunities so that the associated economic growth can follow. When it does, returns follow with it.